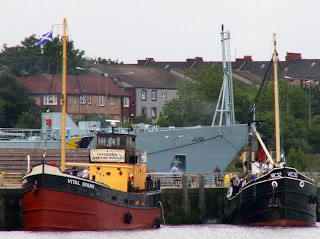 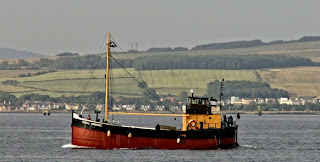 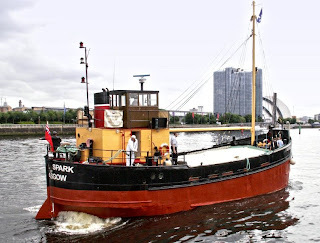 Vic 72 was built in 1944 at Hull, and was one of the last VIC class puffers built to have a certificate to carry cargo , she is powered by a Diesel Engine. 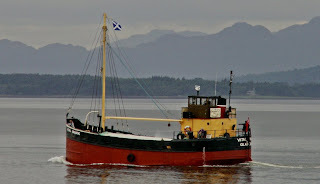 VIC stands for Victualing Inshore Craft. 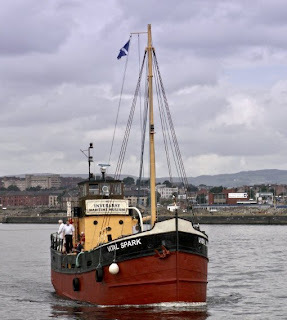 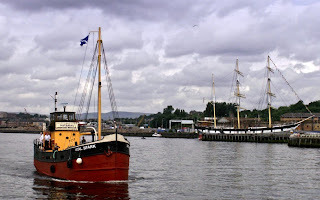 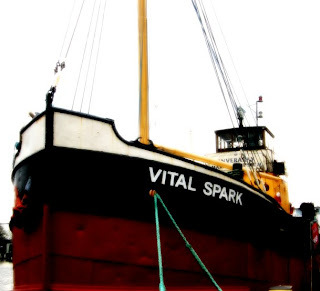 The puffers original name was 'Eilean Eisdeal' which was given to her by the Easdale Shipping Company but she was re-named in 2006 as the Vital Spark after the stories written by the writer Neil Munro who wrote about 'Para Handy' skipper of the puffer, the 'Vital Spark'. 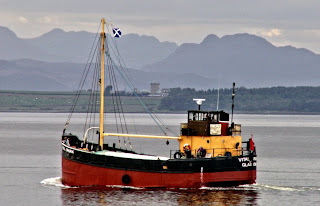 The puffer was unique in that they were flat bottomed, and could easily beach at low water unload their cargo and then float off on the next tide, this is one of the reasons why they were so popular particularly in the more remote parts of the West of Scotland. 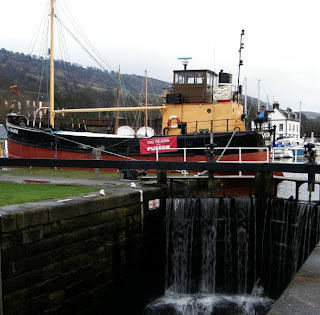 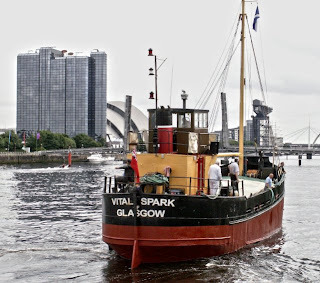 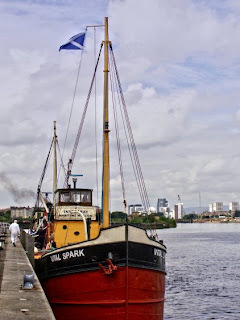 What a great collection of photos of the 'Vital Spark' and the scenery beyond. 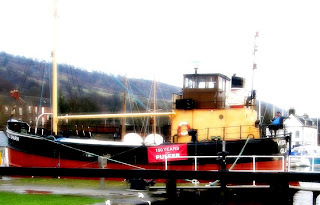 I like the information underneath too. 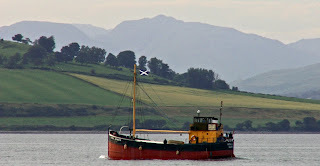 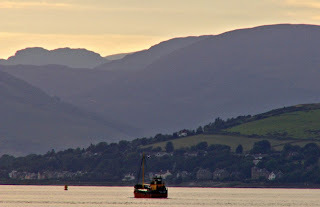 I read that she was on her way to Inveraray for some new filming. 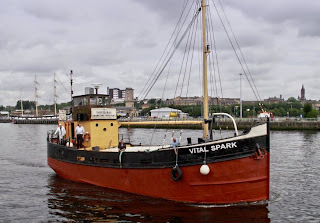 Love the pictures of our boat, vital spark!